While organic food options in the city are multiplying, for many ita��s still not convenient enough to wholeheartedly embrace, and some areas of town are better served than others. 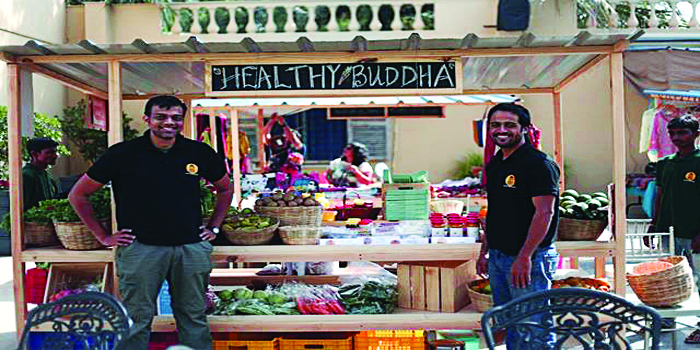 Enter Healthy Buddha, an e-commerce venture launched earlier this year by Gautham PB and Anurag Dalmia, which allows you to order online, and have fresh seasonal produce as well as kitchen staples delivered to your home. Laying out the reasons for choosing organic food, Dalmia is keen to stress that ita��s not a a�?new fada��, but a return to traditional farming methods. a�?When people try our fresh produce, they often say that it tastes like the fruit and vegetables that they remember from their childhoods. Thata��s because the chemical-laden food that we consume today is actually a relatively new thing,a�? he explains. While cost can be off-putting (organic food can typically be between 40 and 100 per cent more expensive than non-organic food), the duo shares that Organic Buddha is making an effort to make organic food more accessible, keeping prices down as far as possible. a�?We work directly with farmers, cut out the middleman, and keep our margins as small as possible,a�? they say.